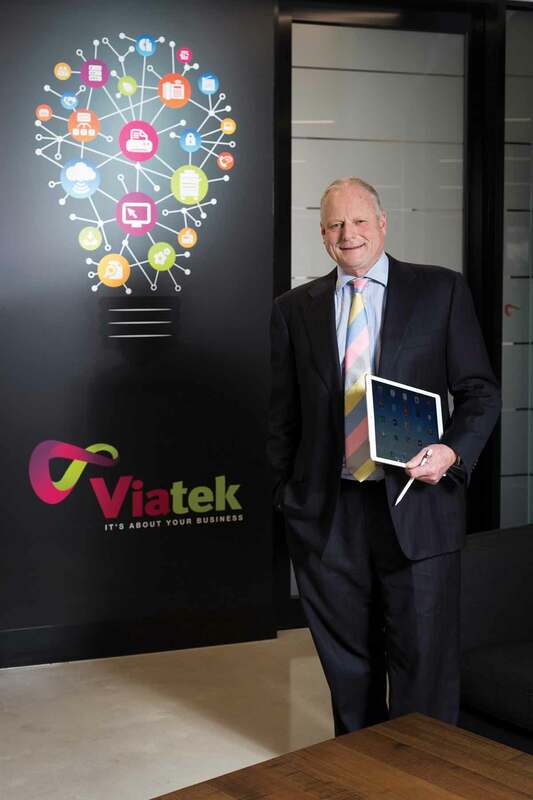 From regional Australia to its capital cities, Viatek Group streamlines print, telephony, and technology services for businesses, offering 24-hour support. Born from a strong relationship with Fuji Xerox that dates back almost 30 years, Viatek Group is an independent services-based organisation supporting businesses with an offering of tailored business solutions in print, telephony and all aspects of IT. Operating from over 20 regional and metropolitan locations in Australia, Viatek is able to provide 24-hour support to its clients, wherever they are. CEO Michael Doery says Viatek’s regional focus is something he feels passionately about. “We have provided meaningful employment to people in regional centres so that they have the same opportunities you would find in Melbourne, Sydney or Brisbane. Gaining a good understanding of Australia’s regional centres has really been a career highlight,” he says. While there are challenges for a company with a regional focus — Viatek has 400 people working from 21 offices across Queensland, New South Wales and Victoria — isolation is something Michael’s staff have overcome through a commitment to providing clients with exceptional customer service. “I spend so much of my time on the road, seeing people and making sure we have one Viatek culture. It brings our people together, be it regionally or in the capital cities. It’s a culture where you get the same service out of Dubbo that you would out of Melbourne. A united front is one of Viatek’s greatest assets. It adds value to its client businesses by presenting a single point of contact for service enquiries and technical support and allows them to get on with business with the right technology. We are developing some exciting, low cost delivery business solutions for customers. “We are developing some exciting, low cost delivery business solutions for customers,” says Michael and through its partnerships with global leaders — such as Fuji Xerox, Shoretel, Telstra, HP, Citrix, Microsoft, NetSuite and SAP — Viatek is able to supply its clients with some of the best products and innovative technology on the market. “Someone like Viatek is able to provide a nice mix of servicing some local hardware on your own premises, your own server, us hosting some processes and applications, and using third parties like Amazon. We’re able to provide a good hybrid solution to our customers and that’s really important,” says Michael.